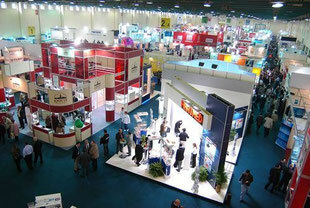 Exhibitions and fairs are an efficient way to enter the new markets. To seeking an opportunity to build networks, to obtain knowledge of the market and get to know local business partners is a great opportunity in the exhibitions. Austria; located in the heart of Europe with a great economy. Austria also supports new companies with high visitors all over the Europe and great returns. Turkey has a great advantage due to its geographical location. The numerous visitors from the Middle East, Asia and Europe reach several target countries at once. We assist you in the preparation and evaluation of the desired exhibitions, fairs and events.